Belief, faith, and reason can wrestle with a person’s thoughts, and even an entire town. That is the case with Randal Wallace’s Heaven Is for Real. Adapted from author Todd Burpo’s bestseller, Heaven Is for Real is a tale that challenges a man’s beliefs in the time of true adversity. 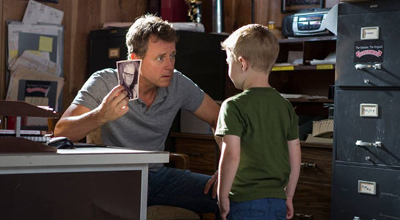 Todd Burpo (Greg Kinnear) is the head preacher of a congregation in Bible Belt Nebraska. He’s a man of many hats, and yet suffers from extreme debt. The story comes into full swing when his son Colton (Conor Corum) has a near-death experience as a result of a ruptured appendix. In the aftermath of Colton’s ordeal, he reveals he visited Heaven during his surgery. At first sound of this, Todd is overcome with confusion of Colton’s testimony, and it negatively affects his ability to guide his congregation. The rest of the film takes Todd and his family on a journey through a whirlwind of conflict and faith, as they try to convince an entire city how to believe. One can appreciate Heaven Is for Real for what it attempts. It attempts a profound, faith-based message in a not-so-cheesy way. It doesn’t fail in this regard, but it also doesn’t succeed. At times the film comes across too preachy, and at others it lacks substance and depth when Todd is faced with conflict. His reactions seem over-dramatic when he tries to describe Colton’s experiences in the ER. That is no fault of Greg Kinnear, but rather the writing to which his role is based on. The book is a bestseller. There’s no arguing the fact that the story is liked by many who have read, or heard of the story. However, it’s not as simple when adapting said book into the medium of film. The screenwriter must rid any thoughts that the book’s author penned for the characters. The actions and dialogue of some of the family friends, especially church board member Nancy (Margo Martindale), and family friend Jay (Thomas Hayden Church) are comprised of too much polish, and not enough reality. The audience will be entertained by the performances of the characters individually, but when they notice how the cast interacts with each other they may feel unsatisfied with the lack of natural emotion from the performances. The story itself is one that will draw audiences to the seats. The film won’t catch as much fire as the novel did, but the audience won’t feel that their time has been wasted. Heaven Is for Real won’t disappoint, but it won’t win over too many critics’ hearts. 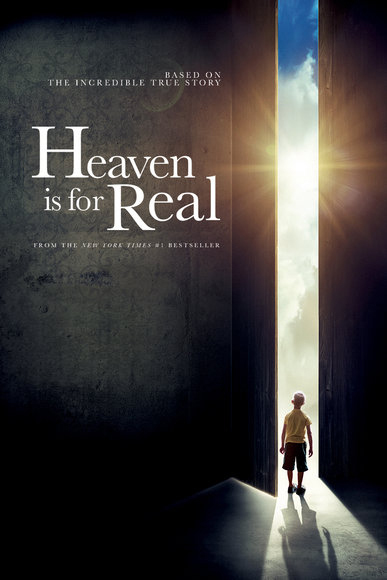 Heaven Is for Real opens today in Philly area theaters.